JoAnn Jackson, age 78, of Athens, passed away on Monday, August 20, 2018 at Life Care Center of Athens. A native of Meigs County, former resident of North Texas and current resident of Athens, she was a daughter of the late John Joseph and Sallie Ann Shoemaker Jackson. She was a former employee of the Salvation Army where she began playing the piano for Sunday services and eventually handled all of the accounts receivable for the corporation. 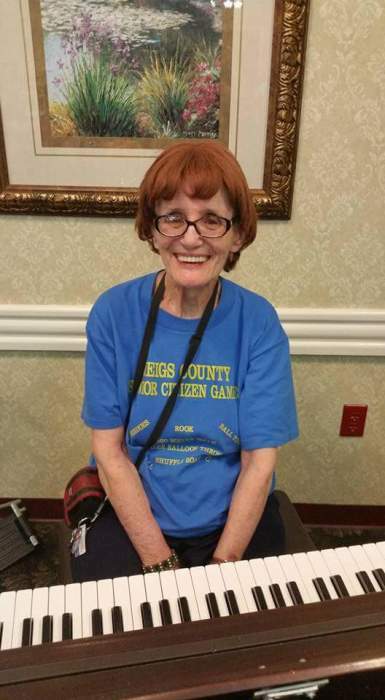 After moving back to Tennessee she began volunteering with Emmitt and Carlon Morgan at several nursing homes in the area mainly Life Care Center of Athens. She enjoyed crocheting dish rags, wash cloths and baby blankets to give to others. Funeral services will be 3:00 PM, Wednesday, August 22, 2018 in the chapel of Laycock-Hobbs Funeral Home with the Rev. Emmitt Morgan officiating. The interment will follow at Rocky Springs Cemetery. The family will receive friends from 2-3 PM, Wednesday prior to the service at the funeral home. Those unable to attend may send condolences to www.laycockhobbs.com/notices/JoAnn-Jackson.